Here's a regularly updated group of stories of interest from the New York Metro area, frequently with links to other news sources. Why Is the North Tram Cabin Limited to 50% Capacity? 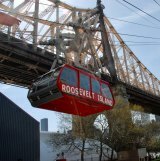 As we reported on Saturday, rider load capacity on the north cabin of the Roosevelt Island Tram was restricted by 50% at around 7:00 p.m., the evening before. No reason was offered, raising concerns about possible safety hazards. But on Sunday, PSD Chief Jack McManus called The Daily to explain. Abruptly, at 7:10 p.m. last evening, RIOC's email advisory system pumped out a notice made more scary by the absence of details. That was followed less than an hour later by a confusing announcement about either a) an elevator door problem or b) a Tram shutdown scheduled for February. It was that kind of night. Let's clear it up, as best we can. “It’s official – the initial six routes of NYC Ferry system are now up and running,” said Mayor de Blasio. “NYC Ferries have turned the East River, which once divided New Yorkers, into a point of connection..." The new Lower East Side route is especially good for Roosevelt Islanders seeking adventure and discovery. RIOC and the NYPD's 114th Precinct jointly announced a meeting on Monday evening to address concerns about the recent sniper incidents on Roosevelt Island. Manhattan Park has graciously offered to host the event. With no F Trains arriving on Roosevelt Island from Manhattan's bigger island, we're blessed with a slew of good options, as long as you don't mind your travel taking a little longer. The Roosevelt island Daily has learned that shooting suspect Farris Koroma, who turned himself into the 114th Precinct yesterday, has been living with his family in Westview where late night fights and marijuana use have generated multiple complaints from neighbors. Late last night, we learned from PSD Chief Jack McManus that the NYPD had closed in on a suspect and an arrest was imminent. 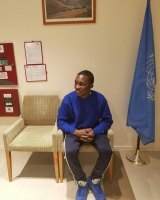 At 2:00 a.m., mysterious shootings that left both local residents and our neighbors across the East River on edge appeared to be solved when 22 year old Farris Koroma, a Roosevelt Island resident, turned himself in to the 114th Precinct in Astoria. Yesterday evening, NYPD released a video showing a man and a woman walking casually away from where four gunshots were fired, one hitting a luxury apartment building on the far side of the East River. This morning, on Twitter, they included a prior segment that clearly identified the shooters location as being on the Promenade behind 20 River Road. NYPD requests your help. 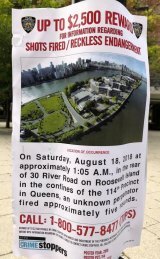 Although the individuals, male and a female, captured walking along the East Promenade at the approximate time gunshots were fired from Roosevelt Island, early Saturday morning, are not suspects, they are likely to have important information that can help investigators. Do you recognize them? 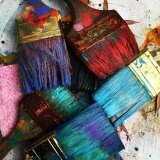 "The Roosevelt Island Operating Corporation (“RIOC”) seeks to provide a grant to a New York City-based arts 501(c)(3) non-profit with the appropriate experience, qualifications, and capacity to help create and operate an Artist-In-Residence program," RIOC announced yesterday. It's unclear how the program relates to RIOC's mission and how it will be funded.